It's big, it's bad, it's a MACK Truck. They're everywhere here. I love'em, kids love'em. We've got the Peterbilts & Kenworths on US highways, but you don't see many MACKs, at least not in California. 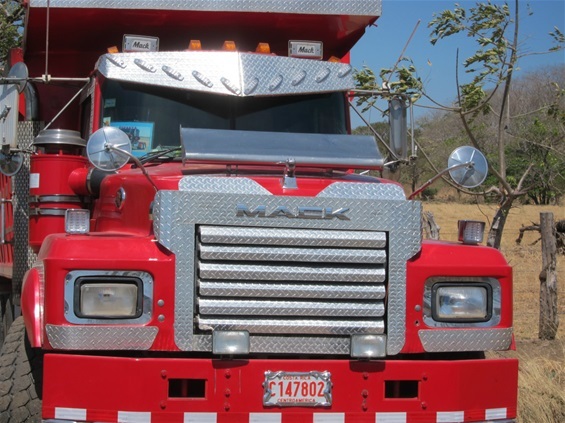 MACKs are still built in Macungie, PA, but they are now owned by Volvo and have another assembly plant in Venezuela - so that may explain it. I'm going to assemble a little slide show of more MACKS over the next several weeks. You can come back and take a peak, just don't tell your wife - she won't understand, but you know they're cool.